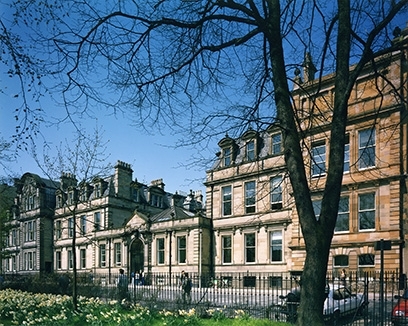 How did a controversial subject like parapsychology come to find a home in Edinburgh University? The story begins rather darkly, with the death of the terminally ill writer Arthur Koestler and his healthy wife Cynthia in a suicide pact in 1983. Koestler had a lifelong interest in dualism and the paranormal, and had written books on the topic including The Roots of Coincidence. The Koestlers Willed their estate to support research in parapsychology at a UK university, and in 1985 an American parapsychologist named Robert Morris came to Edinburgh University’s psychology department to take up the first Koestler Chair of Parapsychology. Shortly thereafter Morris recruited me as a research assistant, and the Koestler Parapsychology Unit gradually formed in the shape of a small group of researchers and PhD students specialising in parapsychology. Unlike some parapsychologists, I didn’t come into the field because of strange personal experiences. Rather, I was aware that surveys show that around 50% of people believe in paranormal phenomena, and about half of these say they have had a seemingly paranormal experience. So, since I had a degree in psychology, my curiosity was naturally aroused. What lies behind such beliefs and experiences? Is it all illusion, or do paranormal phenomena really exist? As a young researcher, this seemed like a fascinating area to study. Now, thirty years later, I can say it has indeed been an amazing journey. However the answers to the questions that sparked my curiosity turn out to be less straightforward than you might think. What is parapsychology? We take a broad definition at the KPU: Parapsychology is the scientific study of paranormal experiences. We approach this work from several different directions, including studying ‘what’s not psychic but looks like it’ (how we may fool ourselves into thinking we’ve had a paranormal experience), examining the causes and consequences of belief in the paranormal, and testing whether people have any psychic abilities under controlled laboratory conditions. As an example of the former, I’ve conducted research looking at psychological factors underlying precognitive dream experiences. This work has found that people tend to forget the many dreams they have that don’t ‘come true’, but remember the few that do seem to resemble future events. This memory bias means that people end up with an exaggerated view of the frequency of their precognitive dreams, particularly when individuals are creative and skilled at seeing connections between dreams and events. We have also found that people who suffer from sleep disturbance tend to have more frequent precognitive dream experiences. This may be because usually if we sleep soundly we remember little of our dreams, but we remember a greater number of dreams if we wake up frequently during the night. The more dreams we remember, the more chance there is of us noticing a similarity between a dream and subsequent events. Not surprisingly, the area of our work that attracts most curiosity is our laboratory tests of psychic abilities. Here, the experiment is designed to rule out the normal psychological and statistical factors that tend to make it difficult to interpret ‘naturally occurring’ paranormal experiences (such as the memory bias that can affect precognitive dream experiences). If the experiment is well designed, then over time we may be able to assess whether there is any accumulated evidence for psychic abilities such as extrasensory perception (ESP: the hypothesised ability to read minds) and psychokinesis (PK: the hypothesised ability for mind to influence matter). 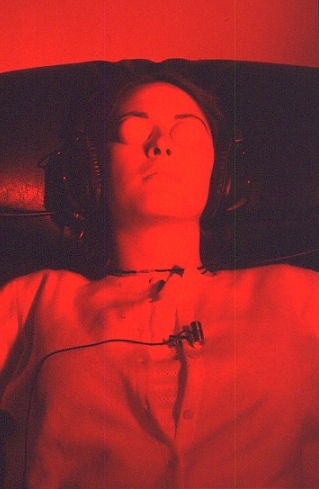 One area in which the KPU has specialised is ESP research using the so-called ganzfeld method, which is a mild sensory isolation procedure (see photo). Pic: A participant in a KPU ganzfeld ESP experiment. Surveys suggest that many seemingly paranormal experiences occur when people are dreaming or deeply relaxed. Parapsychologists developed the ganzfeld method to try to simulate the naturally-occurring conditions in which people report ESP experiences. In a typical ganzfeld ESP study, one volunteer (the ‘receiver’) is placed into mild sensory isolation. They are asked to sit in a comfortable reclining chair in a sound-insulated room, wear headphones and translucent goggles, and are bathed in red light. After hearing a short relaxation exercise, white noise (a sound like radio static) is played over the receiver’s headphones, and they then spend around 20 minutes describing the thoughts and images that flow through their mind. In a separate room, another participant (the ‘sender’) looks at a randomly chosen target (such as an art print or photograph) and attempts to psychically send it to the receiver. Later, the receiver is shown four possible targets (the actual target and three decoys) and is asked to identify the image that most resembles their thoughts and images. A ganzfeld experiment involves a large number of such trials, with each trial usually involving a different pair of participants. When the results of these trials are combined, participants would be expected to choose the correct target 25% of the time by chance alone. Significant scoring above this level is seen as evidence of ESP. KPU researchers have conducted 8 ganzfeld ESP experiments, and this work has contributed to the wider database of over 60 ganzfeld studies that have been conducted over the last 3 decades. When all the studies are combined, the hit rate is around 30%, which may not seem like much but it is significantly greater than chance expectation. However there has been a great deal of debate over how to interpret this finding, with argument centering on which studies should be included or excluded, and whether there may be unreported studies that would change the conclusions if they were included. A few years ago, the KPU has introduced a registry for planned parapsychological studies that will help to resolve this debate. You can find out more about the KPU study registry, and our other research, on the KPU website. As you can hopefully tell from reading this article, the KPU seeks to take a balanced approach to the study of paranormal experiences. Sometimes we may be fooled into thinking we’ve experienced the paranormal, and it is wise to be able to understand the ways in which this may occur so we can recognise ‘what’s not psychic but looks like it’. At the same time, I would argue the methodological standards of controlled experiments are generally rather high, and the results of this body of work deserve to be given serious consideration. Aside from teaching and researching parapsychology, I’m passionate about communicating with the public about what parapsychologists do. One of the activities I really enjoy is running an online introductory parapsychology course. This is open to anyone around the world, and is a great way to get an overview of this wide-ranging and fascinating field. This year is particularly exciting, because it’s the KPU’s 30th Anniversary. I’m organising various events to mark the occasion, including developing the fun interactive workshop called Unbelievable: The Science of the Paranormal which will be staged at Orkney Science Festival in September. People hold many misconceptions about parapsychology. Unbelievable is designed to reveal what parapsychologists actually do, through inviting the audience to take part in a series of demonstrations and experiments. Spaces are limited, so book early if you’d like to join in. Of course, both skeptics and believers are welcome! The workshop ‘Unbelievable: The science of the paranormal’ with Dr Caroline Watt takes place in the Supper Room of the Town Hall, Kirkwall, on the evening of Saturday 5 September at 5.30 pm. Numbers are limited and booking is essential. Dr Caroline Watt is a founder member of Edinburgh University's Koestler Parapsychology Unit, which celebrates its 30th Anniversary this year. She is a Past President of the Parapsychological Association, is author of over 100 research articles, and runs a popular online parapsychology course.